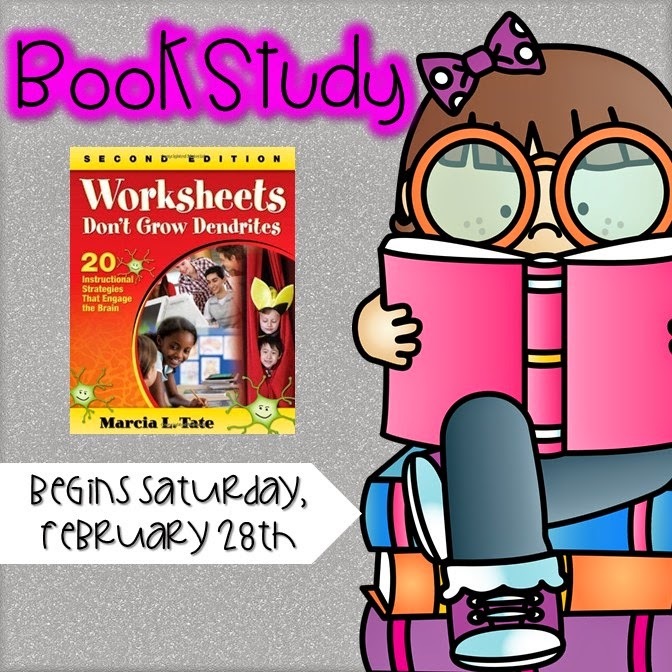 I'm excited to be joining a bunch of teacher bloggers in a best practice book study using the book Worksheets Don't Grow Dendrites. I was hesitant to link up since I am not currently in the classroom but I decided it would be a good way to reflect on practices I used in the classroom and areas I could improve upon if/when I return to the classroom. I also thought reading through this would help the teaching I still do - tutoring and teaching religious education at our church. Chapter one validated a lot of the things I already did when I taught second grade. Using a picture walk to explore vocabulary, conventions (both fiction and non fiction) and illustrations was one of the strategies we used a lot in reading groups. I would always have my students start off by doing a picture walk. I would also model this when we would do a read aloud during my literacy mini lesson. My students sat at tables and regularly would need to work with the others at their table for games, activities, discussions, problems solving, etc. I never thought about calling them or treating them like families. I really like that idea and I think it would be a great way to help foster a community of learners and have less complaining about who they need to work with for that activity. Think/pair/share was important terminology in my classroom. We sometimes called it turn and talk. We also called it EEKK (sitting elbow to elbow and knee to knee). 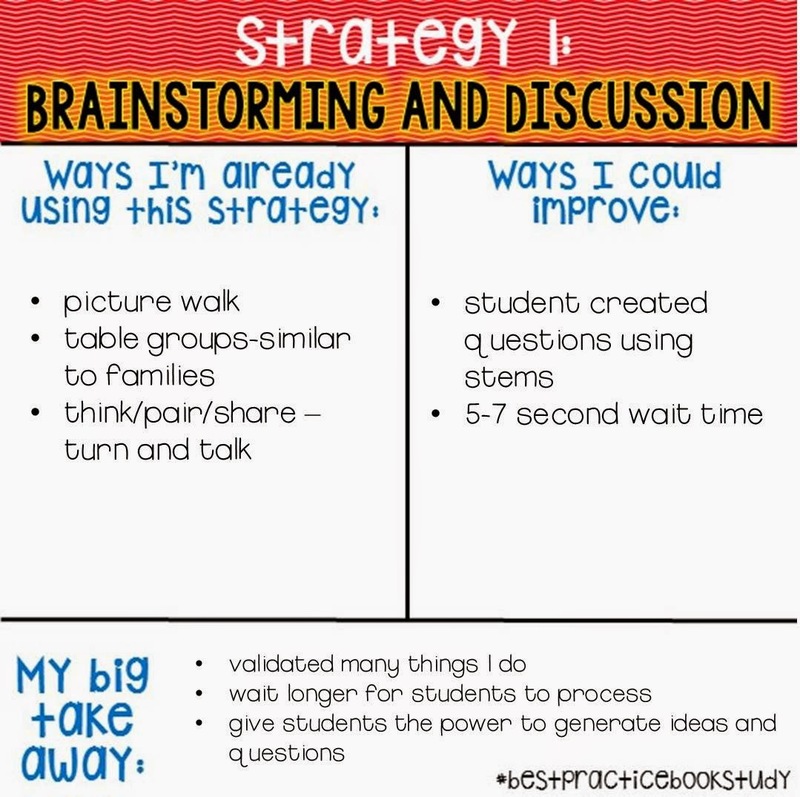 We would use this strategy most often during my mini lesson to give them the chance to think about and digest the information they were learning. The wait time of 5-7 seconds really stuck out to me. I often think about this when I am teaching and quickly jump in or rephrase if no one is responding. This becomes a big problem during religious ed each week because we only have an hour and a half. I feel like because we are trying to do so much in such a small amount of time, I rarely wait and I often let the first person to raise their hand answer. Bad, bad, bad!! I need to give them all time to think. 5-7 seconds doesn't seem that long but when you count that out while you are teaching, it is a lot longer than you think! This isn't a new concept by any means. I think I remember hearing it as far back as college. I just think it is a good reminder no matter how long you've been teaching. I also really like the idea of having students create questions for content area assessments by giving them stems to help them use all levels of Bloom's taxonomy. I think this would have been a great idea for students to practice and prepare for a test especially in science and social studies. It would be a great way to check their understanding and review. I worry though that if they do not actually know the content, the questions and answers could be wrong that they would be sharing with their peers. Maybe one way to handle this would be to have the students create the questions and answers, then I would check through them and maybe pull one from each student to create a review for the whole class. Then we could go through the questions, have the students answer them and then have the author of the question share their thinking and answer with the group. This chapter was really important for me. I can't tell you how often I felt guilty spending time on artwork and illustrations in the classroom. I felt like the powers that be were watching and judging and making sure that what we were doing was curriculum related. To be honest, I've even judged all the craftivities I've seen on Pinterest and TpT and thought is it necessary and relevant?? After reading this chapter I feel bad for judging. I think it does have a place and is important, especially in schools that don't have art programs. For some students, that is their only chance to have that hands on interaction with different mediums. We used drawing a lot in second grade to illustrate stories or show our understanding of a text that we just read. I also started using it more and more in math. We would have the students draw a picture to help solve a story problem. We would also have them illustrate a vocabulary word in their math notebook to help them remember it better. One of my favorite ways that we used art was by creating individual books to use as a shared reading. Once again, I LOVED this activity but I often felt guilty spending so many weeks at the beginning of the year working on this. Now I feel completely validated and think it was time well spent!! I could kick myself for not taking pictures when I was in the classroom. I'll try to describe it the best I can and maybe one day I could make some sample mock ups. We absolutely loved the results and the kids did too. And now after reading this chapter, I love the project even more because I feel justified that what we were doing was best for kids! I think the biggest way I could improve is just to do more drawing and artwork and not feel bad about it. In my religious ed class, I would like to try other types of art. We try to do a relevant activity/craft each week. Because we are pressed for time, I often go for what is easiest and fastest which often ends up being color, cut and paste type activities. I think it would be good to bring in different kinds of paint or rip art to explore. Again, I would be making sure the the activity related to what was taught and helped them to expand their understanding. This is one (From Mrs. Ehle's Kindergarten Connection) I'm hoping to work in before Easter if we can find the time. I am pretty much obsessed with it - the colors are awesome and I think it would be a good way to illustrate what happened on Good Friday. So that's my take on the first few chapters. Are you reading along? What do you think? You don't have to be a blogger to participate. You can participate through the comment section. 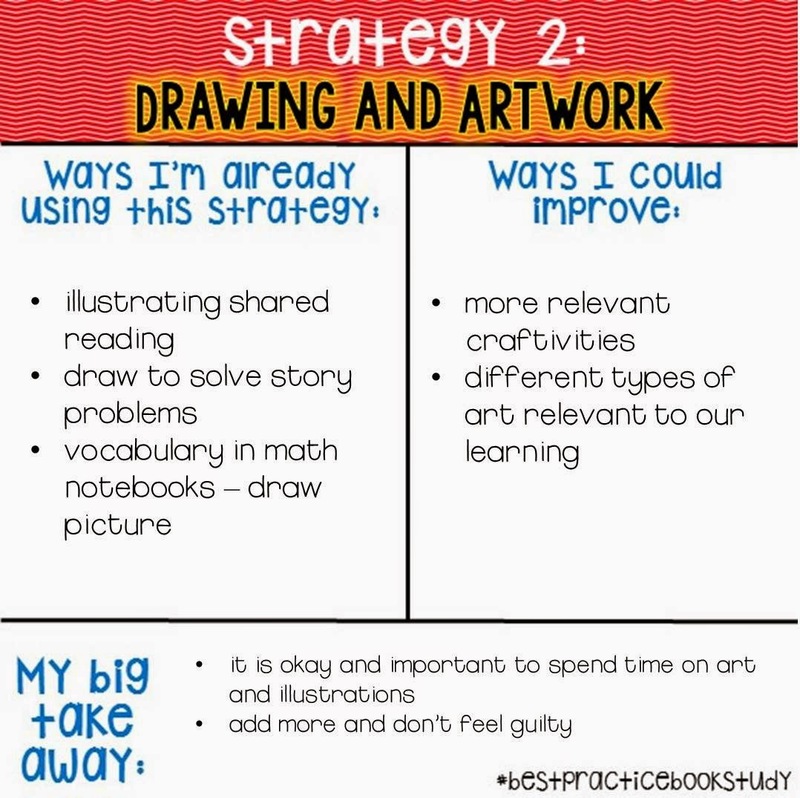 Just click on the book study graphic at the top to get started. That wait time is a kicker, isn't it? I think, with the rigorous curriculum and trying to cram so much in one day, creates this hustle and bustle about our days that can prohibit us from giving the optimal amount of wait time. I also have to make a CONCERTED effort at this! Thanks for stopping by, Holly! It is so hard to add that wait time in. I know I need to but it is so easy to blow right through. At least we are all aware of it now and making more of an effort! Hi, Sara! 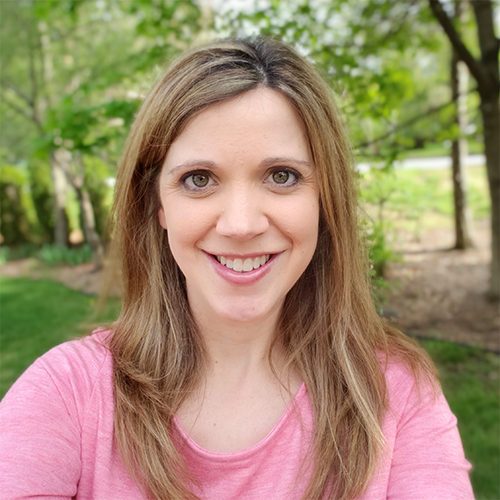 I think you deserve a great big ol' pat on the back for thinking about how to incorporate these teaching strategies in your religious ed classes! What a great way to give new meaning, understanding, and excitement to spiritual learning! By the way, I agree that the crosses on the hill is a gorgeous project. It will surely be memorable for your students and a good fit for teaching about the resurrection. Thank you so much. That means a lot. There is no reason why best practice and excitement shouldn't be part of religious education, right? I feel like I get in a rut because we have such a small amount of time and our text is SO dry and not kid friendly at all. It is awesome as far as content but I really have to make an effort to make the rest of our lesson more meaningful for our kiddos. I love the cross pictures the more I think about it. I think I might go for it in the next few weeks and skip something else to fit it in. Those few extra seconds of wait time can feel so awkward! This is something I plan on working on ASAP. I know I tend to rephrase or move on way too quickly. I need to make sure I'm giving my students time to think! Such a good way to phrase it...awkward. That is it exactly. It feels awkward and we aren't used to silence so we talk! I totally agree with you about the wait time. I am the exact. same. way. This week, I started to count in my head to see when I would normally interject and it was (at most) 3 seconds...at best. I need to give my kids more time to think and to step back and let them! Thanks for linking up! Such a good idea to count. I'm going to try that this week during religious ed and see. I'm kind of scared to find out!!! Thanks for hosting the link up this week, great idea!! I commented on another blog and said that 5-7 seconds never seemed so long!! I always try to make sure that I am giving that wait time, but sometimes I get so excited to hear what they have to share after hearing them talking with their partner first and just want to hear right away!!! Hope you have a great rest of the weekend!! So true! It seems like forever! On paper it doesn't seem that long but it can be an eternity when it is a silent classroom. The wait time is a kicker! I even interject with my kiddos at home way too soon. :) I love that we both called our intro to books "picture walks". Art is soooo important. It seems we all are "taking" that with us and feeling a bit more validated.